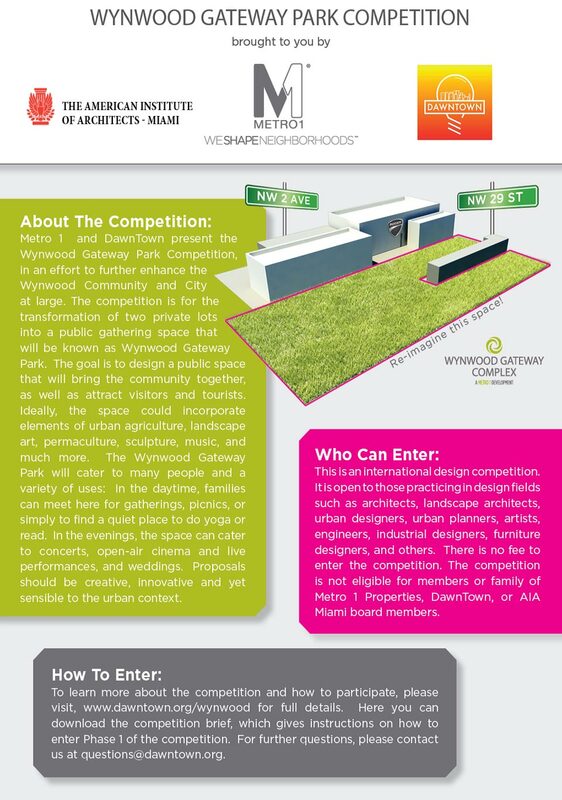 The interdisciplinary team comprised by Nick Gelpi, Jim Drain, and Roberto Rovira were selected as finalists from among 238 submissions from 23 countries for the design of an urban park and garden in Miami’s Wynwood neighborhood. 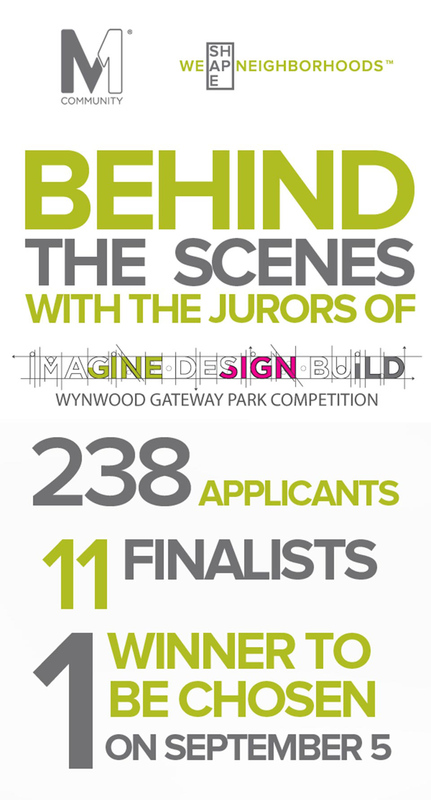 11 finalists were chosen by esteemed panel of expert judges including: Enrique Norten – Founding Principal, TEN Arquitectos; Terence Riley – Principal, Keenan/Riley; Former Director of Miami Art Museum and Museum of Modern Art; Raymond Jungles, ASLA – FASLA, PLA, Founding Principal of Raymond Jungles, Inc.; Allan Shulman FAIA, Principal, Shulman + Associates; James Russell, FAIA, architecture critic and journalist; Andrew Frey – Development Manager, Codina Group; Founder, DawnTown; Tony Cho – CEO and Founder, Metro 1 and Moderator- Joachim Perez, Executive Director of DawnTown. The finalists for the competition are: the independent team from Miami consisting of artist Jim Drain, landscape architect Roberto Rovira and architect Nick Gelpi, AGENCY Architecture LLC and Aranda/Lasch from New York City, New York; Solid Objectives – Idenburg Liu / SO-IL and stpmj from Brooklyn, New York; Meyer + Silberberg – Land Architects from Berkeley, California; SFA fromMadrid, Spain; Colour: Urban Design Limited and Wayward Plants from London, England, AZC – Atelier Zundel Cristea from Paris, France and ONZ Architects from Ankara, Turkey.